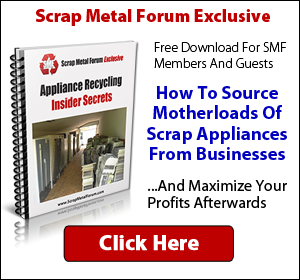 There is alot of money to be made and lasting connections to be built here in the Buyers & Sellers section of the Scrap Metal Forum. Making the most out of your listing here can be the difference between obtaining, or missing out on the long term profitable relationships that are regularly developed here. We'll give you some tips, tools and advice to help you maximize your results and the effectiveness of your thread. 1 - Use the new TABLES feature of the post editor. You can create a new table via the button at the bottom-left corner of the post editor (You may need to use 'go advanced' to see this option). Directly under the 'bold' button. This will allow you to create crisp, clean well laid out price sheets or other information. Below I'll show an example of what your table might look like. This just makes it clear and easy for your prospects to get a feel for where you're at with your advertisement, and makes it stand out as well. 2 - Make it easy to communicate with your prospects, and keep your thread active. Communication and keeping people informed is key when it comes to really making a connection with other members/guests and developing profitable relationships and deals. Provide an email address, welcome interested parties to post in your thread with questions or private message you. The more questions answered in your thread, the easier it will be for prospects to make a decision to work with you. 3 - Build Trust and Invite Feedback. Our members and guests like to know they can trust and feel comfortable with the person behind the advertisement. You should invite your customers to provide feedback on your thread when applicable. Address concerns, take the time to communicate directly with your prospects, it should always be a win win situation. Your prospect's success, is also your success. 4 - Include images. The bottom line is, it makes things 10x easier for our members/guests not 100% fluent with the materials you're buying or selling in your advertisement to make the deal go as easy as possible. Sometimes going the extra mile to include images and direction can go a long way. 5 - Post on the main forum. Having some posts, thanks and reputation on the forum can help a lot when it comes to building trust with anyone viewing your thread. The more one can learn about you, your knowledge and your personality has more of an impact than you might think. People like working with someone they can talk and relate to. By having some history on the forum you're already a step ahead of the game and can eliminate that 'stranger' vibe that can come along when someone with 1 or 2 posts on the forum creates an advertisement here. 6 - Be honest and treat our members/guests (your prospects, potential customers) with respect. This doesn't really need an explanation, this forum is well known for having a buyers/sellers section with a high reputation and level of trust. 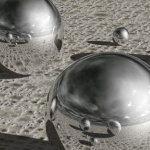 This is a public forum, your reputation can be built or broken with just a few clicks of your keyboard, treat each and every person you deal with here like gold. A quote to remember "A happy customer will tell their friends, an unhappy customer will tell EVERYONE"
I hope this helps our current buyers/sellers and new ones to come. Last edited by admin; 02-28-2013 at 06:58 AM. Great INFO Thanks a lot! Thanks for the info. Very helpful for those just getting started. Thanks for the information and creating this platform for us all to gather and communicate.